They call me pied piper, don't call me a gigolo. I ain't got no girlfriend, but you'll never catch me sleepin' alone. 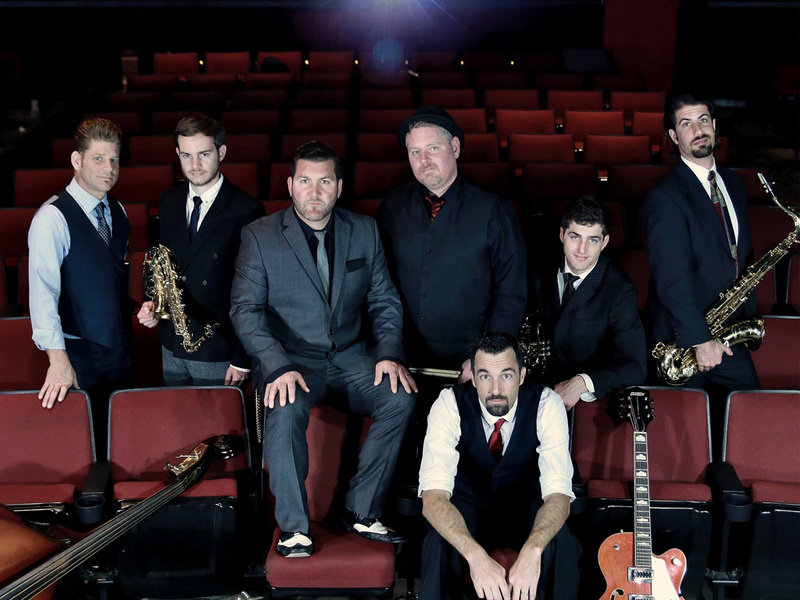 With a "retro meets modern" combination of roots, jazz, soul, and swing, Lost Dog Found is famous for their high-energy live performances, infectious original music, and their own clever take on classic songs. Their first album, "The Jump Start Scandal" landed the band the #1 ranking on Jango.com's indie blues charts for 6 consecutive months, led the band to be voted "Best Band" by the readers of The Press Democrat in 2013, and got them nominated to perform (and subsequently WIN) The Santa Cruz Beach Boardwalk/Live 105 Battle of the Bands in 2014. The band just released their second full length album, "Dine On Danger," which is further proof of the band's groundbreaking style that has yet to find an equal, with 10 original songs that blow the doors off the swing/jazz genre. In Rust Magazine's album review, they declared "below that fun surface, there's incredibly tight band member cooperation and teamwork. This is a big bold band that rumbles like a freight train."